erryn Tolhurst, John A. Bird. The blending of rock with elements of country music and folk was one of the most important directions in music in the late Sixties and early Seventies. Singer-songwriter Greg Quill and his band Country Radio were pioneers in this field in Australia, alongside groups like Flying Circus and Keith Glass's Sundown. 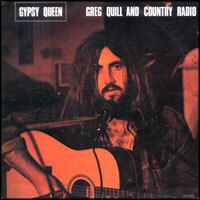 Many people will remember Country Radio for their popular and enduring hit "Gypsy Queen", which made the Australian Top 20 in late 1972. But like almost all the artists covered in Milesago, there's much more fine music to be discovered on further investigation. Prior to forming Country Radio, Quill was already well-known on the Sydney folk scene as a solo performer, and he also ran The Shack, the fondly-remembered folk venue at Narrabeen, on Sydney's Northern Beaches in the late 1960s. A meeting with publisher and producer Gus McNeil led to Greg being signed to Gus's new Cellar Music publishing company. 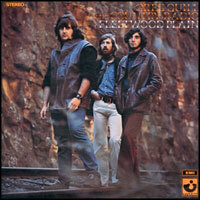 Gus produced Greg's first commercial recordings, the single "Fleetwood Plain" and the subsequent album of the same name, recorded for EMI in 1970, on which he was backed by John Walsh (bass), Chris Blanchflower (harmonica), Orlando Agostino (guitars) and members of Pirana, the band which had formed from the final lineup of McNeil's old backing group The Nomads -- Graeme Thompson (bass), Jim Yonge (drums), Tony Hamilton (lead guitar) and Stan White (piano). The LP was released on EMI's new progressive subsidiary Harvest, although curiously the single "Fleetwood Plain" / Song For David" came out on EMI's pop subsidiary Columbia. To promote the record, Greg put together the original Country Radio touring lineup (June 1970) with Walsh, Anderson, Agostino and Hannagan. 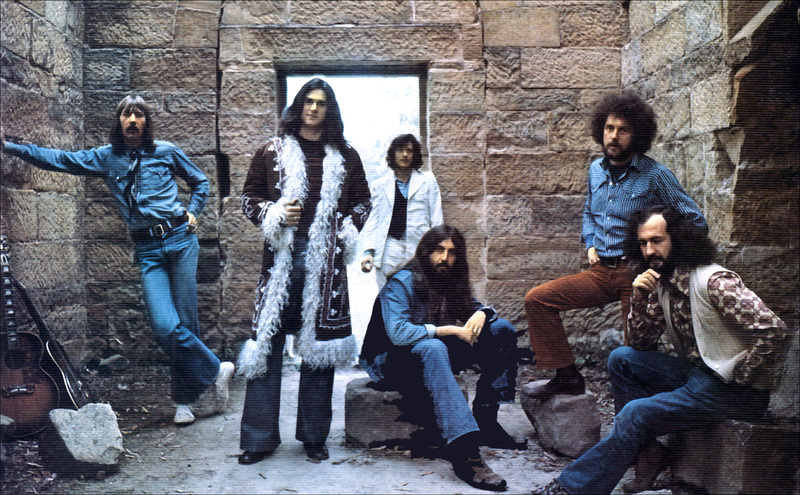 At first an acoustic folk act, during 1970-71 thr group's musical style evolved into electric country-rock, the style gaining great popularity (especially amongst musicians) under the influence of albums like The Band's Music From Big Pink, Dylan's Nashville Skyline and The Byrds' Sweethart Of The Rodeo. He and I remained together for six years. He was indispensible to me, my loyal friend and an exceptional drummer -- economical, dynamic, always looking for the deepest groove in the song, and the hardest hitter in the business.
" ... the most rewarding and productive in my musical life". With the classic CR lineup in place -- Quill, Tolhurst, Bird, Bois, Bolton and Blanchflower -- Country Radio recorded their second and most successful single in Melbourne in April '72, the beautiful and evocative "Gyspy Queen". It was co-written by Greg and Kerryn (who provided the song's wisftful mandolin part and, I'd wager, drew on it as an inspiration for The Dingoes' debut single "Way Out West") and featured a string arrangement by session musician Peter Jones (who later worked on Greg's solo album). Released in August, the single spent 13 weeks in the national charts and peaked at #12. With its wistful mood and its elegant, lyrical images of the road, "Gypsy Queen" is reminiscent, at least in mood, of Spectrum's "I'll Be Gone", and it has similarly become one of the genuine classics of the era, although it is regrettably rarely heard these days. "... about a man straining at the edge of a loving relationship and wondering about what's beyond the horizon". The same month that they released the excellent Country Radio Live. Apparently unable to make the time for extended studio sessions, they recorded their debut LP in one evening, in front of an politely enthusiastic invited audience at Melbourne's TCS Studios on 4 October 1972. It's a great document, showcasing the group's at their peak as a performing unit, and it features a fine selection of originals, plus two songs by John Stewart, one of Greg's favourite songwriters. Stewart is not as well-known these days as some of his songs, with which he has had considerable success. Originally a member of The Kingston Trio, he is a respected singer-songwriter who had massive success with "Daydream Believer", the worldwide 1967 hit he wrote for for The Monkees, and in the late 70s he scored an international hit under his own name with the single "Gold", produced by Lindsay Buckingham and backed by members of Fleetwood Mac. Soon after their return from Canada, Country Radio made a successful appearance at the 1973 Sunbury Festival; the live track "Silver Spurs" was included in Mushroom's 3LP recording of the event, which was released in April 1973. To Greg's dismay, Kerryn Tolhurst abruptly left the band just after Sunbury, briefly joining Mississippi before putting together his new band The Dingoes, and regrettably he was soon followed by Bird and Blanchflower. Greg put together a new lineup including Russ Johnson (who effectively swapped places with Tolhurst, having himself just left Mississippi). 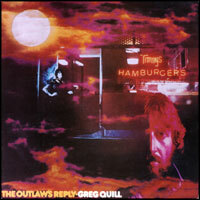 Guitarists Les Stacpool (a veteran of many of Melbourne's top bands of the 60s and lately of Aesop's Fables) and Russ Hinton (ex-Moonstone) alternated on lead guitar for live dates and Stacpool also appeared on Greg's subsequent solo LP (see below). In May 1973 the lineup of Quill, Johnson, Bolton and Du Bois recorded their fourth single "Bound For South Australia" / "I Need Women", which did not chart. John Bois left in August, when the single was issued, rejoining Tolhurst in the newly formed Dingoes and Greg dissolved Country Road in December 1973. 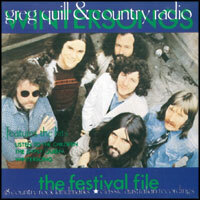 During 1974 Festival also released a de facto "Best Of" compilation entitled Gypsy Queen, credited to "Greg Quill & Country Radio". It included a good selection of album tracks and single A- and B-sides, and is of particular interest for the inclusion of a rare track that for many years was available only on this LP -- Greg's cover of the country classic "Singin' The Blues", which featured Renee Geyer on backing vocals. Alongside Margret RoadKnight and Rob MacKenzie of MacKenzie Theory, Greg was one of the first Australian rock musicians to be awarded an Arts Council grant, which enabled him to travel overseas. He moved part-time to Canada in mid-1975, and put together a new band, Southern Cross, in 1977; it included the long-serving Tony Bolton and noted Aussie musos Chris Stockley (Cam-Pact, The Dingoes), Sam See (Sherbet, Flying Circus, Fraternity) and Bruce Worrall (also ex-Sherbet); both Stockley and See joined in Canada, as their respective groups had both moved to North America in the preceding years. "Our adventures had burned both of us out ... admitting to ourselves that our musical dream had foundered and sunk after so many years was hard on both of us." Drwaing on his Go-Set experience, Greg returned to journalism; since then he has written books about Michael Jackson (1988) and The Rolling Stones (1989), and in 1993 was reported to be working on a novel. For many years he has been a prominent TV and print journalist reporting on the arts scene in Toronto, where he is the senior arts correspondent for the Toronto Star newspaper. Happily, that was not the end of the story for Greg Quill's music. He returned to Australia to visit his family in September 1999, and although he had long set aside thoughts of his earlier life in music, he experienced what he describes as an 'epiphany' on returning. He came home to find that his old hit "Gypsy Queen" had been just been re-recorded by country singer Adam Harvey. Heading to Melbourne, he had a emotional four-day reunion with former bandmates like Kerryn Tolhurst and Chris Stockley, and attended a concert by up-and-coming young country-rock artist, Cyndi Boste, whose recent album Kerryn had produced. That night she performed Greg's second hit "Wintersong" which, he discovered, had been a staple of her sets ever since she began performing at 15. Greg has written eloquently about the experience and I commend his article to you. Over the next couple of years, Greg and Kerryn maintained contact and quietly began working on songs together. The result was the clutch of new tunes which eventually appeared in early 2003 on the superb Quill-Tolhurst album So Rudely Interrupted. Greg and Kerryn celebrated the Canadian release with a concert in October 2003 at C’est What? in Toronto, performing with a full band featuring The Band’s legendary keyboardist Garth Hudson on accordion and piano. The show was aired nationally several times on Bravo! Canada’s Arts & Minds program and on CP24. They then headed to Australia and delighted fans around the country with their first public performances together since 1973. Their gigs in Sydney were special events: the Manly show reunited Greg with many old mates from his days at The Shack, and the final show at the Bridge Hotel saw Greg and Kerryn joined onstage by the great Chris Blanchflower. Also in the audience that night were CR keyboard player John A. Bird and Greg's producer and publisher Gus McNeil. In 2006 original Kerryn Tolhurst produced the sessions for Delightful Rain, a DVD/CD project celebrating Australian surf music and beach culture over the last five decades. Filmed and recorded between May 13th and 27th 2006, in the Freshwater Surf Life Saving Club, the Delighful Rain album was produced by Kerryn and recorded by Mick Wordley, the Freshwater sessions included The Atlantics, Les Green (The Denvermen), Richard Clapton, Rob Hirst and Martin Rotsey of Midnight Oil, The Backsliders’ Dom Turner, Tamam Shud, Pete Howe, Tim Gaze, Celibate Rifles, GANGgajang, Cruel Sea founder Dan Rumour and his band, The Pigram Brothers, Beau Young and Andrew Kidman. Greg Quill talks about his guitars, then and now. "I have several guitars. My favorite is a '66 Guild D-55 NT, solid, loud, crisp, with a bottom end approaching the Jumbo, and a very easy neck and action. I've had it for 20 years. My 12-string is a Takamine acoustic-electric, very tough and serviceable with excellent electronics. My favorite electric is a custom job, likely a solid body kit, which an antiques-dealer friend picked up in an estate sale, with three pickups, full crossover -- all Dean Markley fittings. It's main advantage is a beautiful neck, the same dimensions and feel as the Guild (i.e., not too thin) and a wicked low, buzzless action. I also have a so-so Japanese Strat knock-off with fancy electronics, a Takamine 6-string acoustic-electric (indestructible), and a high-end Suzuki gut-string flamenco/classical guitar, plus assorted lap steels and a dodgy Italian mandolin." "In Country Radio I played mostly Maton mid-range acoustics (6 and 12) with magnetic pick-ups. I lent them to Jimmy Page once for a performance at Sydney Showgrounds and he tried to steal them from me ... (more on this story to come, we hope! - Ed.) . For a while I played a Fender acoustic, an experimental model with a cutaway and a Strat neck which sounded awful on mike and and via pick up." "My all-time favorite electric was a Gretsch Country Gentleman with gold fittings and Bigsby claw, circa 1965. It played itself. I sold it just before I came to Canada, figuring American electrics would be a whole lot cheaper over here than in Oz. I took $350 for it -- the same price I paid -- only to discover the CG's were already collectors' items going for $2,000 U.S. and more. Now, of course, I occasionally see my model CG on vintage guitar websites going for $6,000-$10,000." "Two of my Matons were stolen -- my favorite, a $2,000 Southern Star with beautiful inlay and the best electrics I've ever heard, was only a couple of months old when someone jemmied the trunk of my car outside a studio where I'd recorded with it for the first time. It was a magic instrument, and uninsured. I never saw it again, though I still look at acoustics for the big mother-of-pearl M on the stock in the hope that one day we'll be reunited." All songs by Greg Quill © Cellar Music. Producer: John French and Country Radio. Recorded live at TCS Studios, Melbourne, Australia, October 4, 1972. Engineers: John French and Graeme McCrae. Chris Blanchflower, harmonica, harmony vocals. Tony Bolton, drums, vocals harmony. 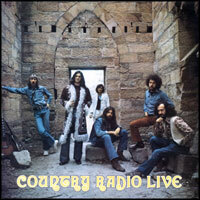 Compilation of single and album tracks from Fleetwood Plain, Country Radio Live, Gypsy Queen and The Outlaw's Reply, with liner notes by music archivist Glenn A. Baker. 1. 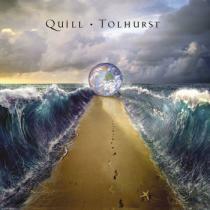 "Back This Way" (Quill /SOCAN) (4:59) Drums: Marco Giovino, Bass: Neal Pawley, Fiddle: Anne Lindsay, Harmonica: Brad Smith. 2. "Clever Lines" (Quill/SOCAN) (3:52) Fiddle: Anne Lindsay, Upright bass: Adam Armstrong. 3. "The Killing Heart" (Quill-Tolhurst/SOCAN-ASCAP) (4:31) Drums: Marco Giovino, Upright bass: Paul Ossola. 4. "The Game" (Quill-Tolhurst/SOCAN-ASCAP) (3:29) Accordion: Charlie Giordano. 5. "Always To The Light" (Quill-Tolhurst/SOCAN-ASCAP) (5:38) Drums: Andrew Swann, Additional vocals: The Pigram Brothers. 7. "A Tale Too Plain" (Quill-Tolhurst /SOCAN-ASCAP) (4:30) Drums: Marco Giovino, Bass: Neal Pawley. 9. "Come To Me" (Quill/SOCAN) (3:52) Drums: Andrew Swann. 10. "The Boys Of Narrabeen" (Quill/SOCAN) (4:13) Additional vocals: The Pigram Brothers. 11. "Lost In A Moment" (Quill-Tolhurst/SOCAN-ASCAP) (4:27) Accordion: Charlie Giordano, Fiddle: Anne Lindsay, Upright bass: Adam Armstrong, Piano: Monique Dimantina. Kerryn Tolhurst: Acoustic and electric guitars, lap steel, dobro, mandolin, harmonium, banjo, tiple, percussion and, except where otherwise indicated, bass. Recorded by Kerryn Tolhurst, Julian McBrowne, Paul Mills and Joe Johnson. Recorded at Unique Studios, New York City; Studio 900, New York City; The Millstream, Toronto, Canada; Emerald City, Melbourne, Australia; Lapland, Brooklyn, NY; Howland House, Niagara-on-the-Lake, Canada; Pearly Shells Studios, Broome, Western Australia. Mixed at Studio 900, New York City, by Kerryn Tolhurst, assisted by Joe Johnson. Cover Image and Graphics: Hugh Syme. "Going Home To Face The Music"
Our sincere thanks to Greg Quill for his interest, input and encouragement and the discography, and thanks to Greg, Kerryn, John Bois, John Bird and all the former members and friends of Country Radio for the wonderful music. Please email webmaster@milesago.com you have extra information or corrections, or to report any broken links.